Now presenting the most anticipated and requested series of programs ever made on UFOs, from award-winning investigative journalist George Knapp. Features the most comprehensive examination of the UFO phenomenon ever produced for home viewing. Includes three spellbinding full-length programs, photos, videos, and documents, along with an unprecedented collection of interviews with researchers, eyewitnesses, experiencers, and the best-known, most credible UFO authorities in the world today. 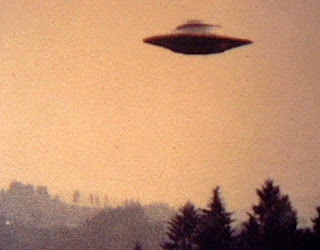 Disc One: THE VISITORS: Traces UFOs throughout history, including sightings by the world's most famous people; and an astounding collection of UFO photos and videos which seem to defy explanation and science. Disc Two: STRANGE ENCOUNTERS: Explores alien abductions, animal mutilation cases, and mysterious crop formations. Disc Three: THE GOVERNMENT COVER UP: Examines how governments, especially our own, have been hiding the truth about secret UFO studies, astronaut encounters, and military battles with alien craft. We also take viewers along with us on our unprecedented trip to Russia, where we investigate UFO secrets from behind the once Iron Curtain.